Food Grade Magnesium Chloride Hexahydrate 98% MgCl2.6H20 (min 46% MgCl2). 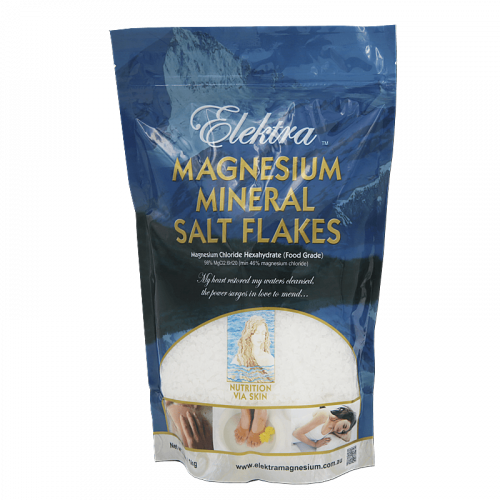 Magnesium Flakes for remineralising filtered drinking water, mouthwash, or bathing. Naturally evaporated magnesium chloride salt from pristine region 3,000m above sea level in the Tibetan Plateau (not near populations, mining or agri-industry). Contains over 16% elemental magnesium ions (the highest in the range of magnesium chlorides). Earn up to 35 NEXUSPoints. Food Grade Magnesium Chloride Hexahydrate 98% MgCl2.6H20 (min 46% MgCl2). Magnesium Flakes.